Yellow fever is a disease caused by a virus transmitted through the bite of an infected mosquito. It’s called yellow fever because when the virus attacks the liver, the patient's skin and eyes turn yellow. Vaccinated travellers should still be careful to avoid being bitten by mosquitoes. This will ensure additional protection not only against yellow fever, but also against a number of other infections transmitted by mosquitoes, such as malaria and dengue fever. bleeding from the mouth, nose, eyes or stomach. If you develop any of these signs or symptoms, you should contact your nearest health care facility and provide them with your full travel history. What’s a yellow fever certificate? International law requires travellers crossing the borders of countries where yellow fever is endemic to have yellow fever vaccinations. 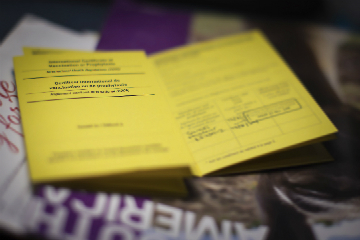 After you’ve been vaccinated, you’ll be issued with a yellow fever certificate. The certificate only becomes valid 10 days after vaccination, and stays valid for 10 years. If you’ve travelled in a yellow fever region, in the six days before you wish to visit South Africa, you’ll have to show your yellow fever certificate when you enter the country. Is anyone exempt from the vaccination? There is no specific treatment, but vaccination is very effective. The single-dose vaccine against yellow fever is 100% safe and effective. It’s recommended for the majority of adults older than 9 months. Note: You’ll still have to get a certificate from the vaccination centre saying that you’ve been exempted. What happens if you don’t have the certificate? quarantined until your certificate becomes valid, or for a period of not more than 6 days. Note: Those with an exemption certificate due to medical reasons may be allowed entry and required to report any fever or other symptoms to the health authorities and be placed under surveillance. If there’s no Port Health officer at the point where you enter the country, you’ll be refused entry into South Africa. International regulations require proof of yellow fever vaccination for travel to and from certain countries. The following countries are yellow fever regions and travellers are required to provide officials with a yellow fever certificate. Vaccination is the single most important measure for preventing yellow fever. 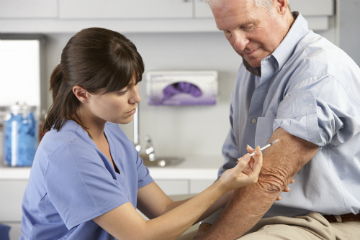 So, before your next business trip or vacation, make sure if you’re required to get vaccinated against yellow fever and/or any other harmful diseases that you do so well in advance.